Alpha Blue commands respect with medium to large flowers that taper into triangular, spade-like shapes. The flowers also have the distinction of looking more like flowers than dense, compressed buds. A sativa-typical structure means that the leaves grow off of central stems in tufts and have a fluffy texture and appearance. The leaves themselves are a vibrant spring green and are threaded through with red and orange hairs; these hairs are actually pistils, the female plant’s reproductive structures that collect pollen from male plants. Notably, Alpha Blue does not seem to have inherited the pigmentation from grandparent strain Blueberry that results in blue and purple hues. This strain’s scent, however, is undoubtedly familiar to fans of Alpha Blue and Blue Dream. The smell of sweet blueberries wafts off of the cured flowers. A slightly sour funk from NYC Diesel also imparts a more tart character to the berry smell. When ground or broken up, Alpha Blue’s flowers show their Diesel influence even more, with a sweet, fuel-tinged odor. This strain has a smooth smoke when burnt and tastes peppery on the exhale with a lingering aftertaste of sour fruit. This is a strain that does not take long to make itself known. After smoking Alpha Blue, users may feel a slight constriction of facial muscles manifesting as a pressure around the eyes and temples. These disorienting physical effects are met with an enhancement of the senses — smokers might perceive sights, sounds, and even textures more intensely. A spike in cerebral activity is also common, with recursive or freely associative thoughts. Fortunately, any anxiety-inducing sense of “mindrace” is mellowed out by a slight body buzz that makes all tension evaporate. That said, this strain will not leave you couchlocked or make you feel out of control of your body. Alpha Blue’s combination of relaxation, uplifted mood, and mental stimulation makes it suited to a wide variety of settings, both solo and social. Medically speaking, Alpha Blue has both physiological and psychological applications. Its euphoric effects are great for those struggling with symptoms of stress, anxiety, and depression. Its lucid sense of focus is also great for patients with attention deficit disorders. Alpha Blue’s subtle body melt, relaxing without being incapacitating, can even relieve deep-seated, chronic aches and pains. This strain’s high is said to be particularly long-lasting, even for users with a high THC tolerance. Because it’s an emerging strain — and because its provenance and creation is not well-documented — there is only limited information available on the cultivation of Alpha Blue. With no packaged seeds available for commercial sale, prospective growers must rely on clippings from mature, existing plants in order to grow genetically identical ‘clones.’Because it’s a hybrid, it may be successfully cultivated, although outdoor growing requires warm, Mediterranean-like climates with daytime temperatures between 72 and 80 degrees Fahrenheit. After obtaining clones and taking the trouble to grown Alpha Blue, growers should also properly cure their flowers to preserve taste and potency. Curing involves first hanging buds upside down by the stem or lay them on drying racks that provide air circulation for 7 to 10 days; the surrounding humidity should be 50% and the temperature about 70 degrees Fahrenheit. Once stems snap off of the flowers easily, buds can then be sealed in airtight jars in ambient humidity of 60-65% and temperature around 70 degrees. As they cure, the buds should be checked at least daily for a week for signs of mold. 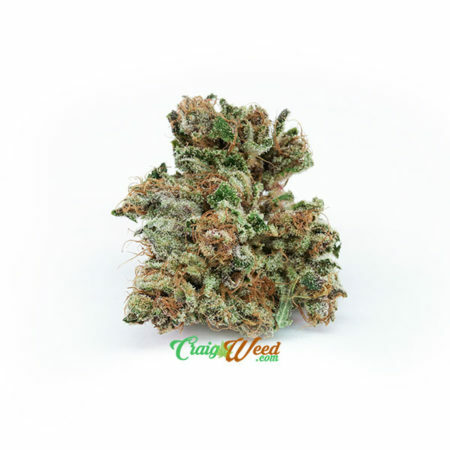 Popular amongst Colorado weed strains and on the West Coast, Alpha Blue stands to gain ground with its genetically-enhanced taste and evenhanded high.`It’s appropriate for daytime or nighttime use and its upbeat, often talkative high is right at home in cannabis-friendly social situations. Pineapple Express combines the potent and flavorful forces of parent strains Trainwreck and Hawaiian. The smell is likened to fresh apple and mango, with a taste of pineapple, pine, and cedar. This hard-hitting sativa provides a long-lasting energetic buzz perfect for productive afternoons and creative escapes. MEDICAL: Great for fatigue, depression, stress, pain, and nausea. Jillybean strain is described as being an upbeat and happy hybrid, with flavors of tangy orange and mango. This strain is a top choice for creative minds and social butterflies looking for unencumbered euphoria during daytime hours. Bred by crossing Orange Velvet and Space Queen, Jillybean often expresses herself in deep hues of maroon on the leaves. Lemon Kush is an effective hybrid strain with a 50:50 sativa/indica ratio with 26% THC content. It is actually a blend of Afghani Kush and Lemon G with a potent lemon flavor of its own. Its taste can be credited to the high amounts of Limonene found within the strain. But if you do plan to get your hands on Lemon Kush strain, it would be wise to buy some that is organically grown. LINEAGE: OG KUSH X WEST COAST SKUNK. AROMA: Banana bread with earthy undertones. EFFECT: Potent Indica affects that inducing sleep, relaxation, and sedation. Best for end of day. MEDICAL: Can aid insomnia, stress, restlessness, and pain. Lifesaver (or Life Saver) is an indica-dominant hybrid that lives up to its name in more ways than one. This bud offers a tart, candy-like fruit flavor alongside some invaluable therapeutic power. Lifesaver was created by inventive breeders BOG Seeds as a cross between their own BOG Bubble and JCB (which is itself a cross of Jack’s Cleaner and Blueberry). The result is a dynamically-flavored flower with lasting and balanced potency. Lifesaver’s THC content has been measured at between 12% and 21%. Also known as the Mandarin Sunset, this strain’s exact origins are unknown, but it is composed of an incredible-smelling Orange Skunk and Motarebel’s famous Herijuana. This is one of our most potent and sedative Indica-dominant strains, known for putting even the most veteran among us down for an early nap. The Scoop: Jack Herer is a lofty and inspired hybrid that was first cultivated by one of the resourceful breeders. Perpetuating the notoriety of its deceased hemp-activist namesake, Jack is thought to be a cross between Shiva Skunk, Northern Lights #5, and an enigmatic Haze hybrid. Debatably considered one of the most victorious varieties competing in modern cannabis festivals, Jack Herer has taken home multiple HTCC trophies over its celebrated 23-year lifespan. 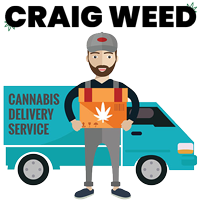 The Blue Dream strain is one of cannabis’ most popular Sativa-dominant hybrids, first coming onto the scene in Northern California, then exploding nationwide as the proliferation of medical cannabis increased. The strain is a perfect example of a Sativa-Indica fusion — combining a selected Santa Cruz Haze mother with a DJ Short’s Blueberry F4 male made this a Sativa-dominant plant, but with the most desirable traits of the Blueberry father intact, including its sweet aroma and large, dense nug structure.